Deleaker is a Visual C++ extension and standalone application for memory leak detection - memory, GDI, and handles so far. Even the most stable of Windows applications are not immune to resource leaks. And of all the bugs and issues, memory leak detection tends to be the most difficult, especially when found in GDI objects and menus. And the golden rule of thumb is that the sooner bugs are found and dealt with, the less expensive they prove to be. 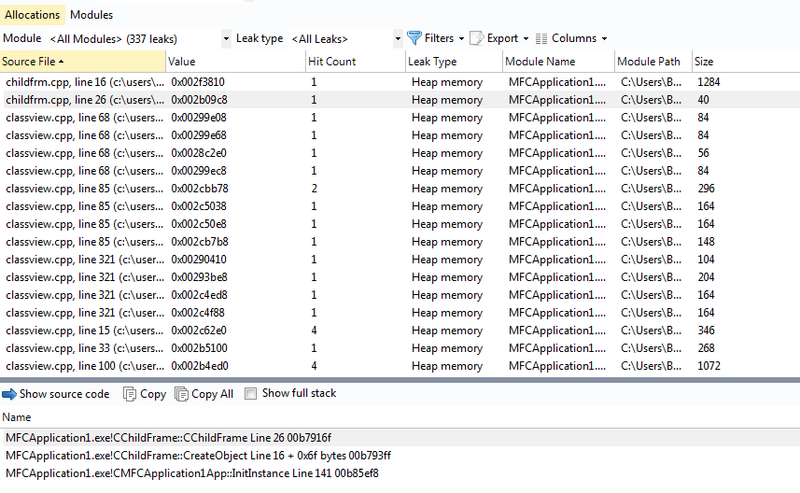 While there's no shortage of tools and add-ons to help track down memory leaks, few are capable of tracking GDI resource leaks that can devastate Windows performance. Deleaker is one of the few tools capable of this, and will have a minimal impact on your application's performance. It doesn't matter what type of leaks are occurring, Deleaker will find them all: memory leaks (produced by heap, virtual memory, or OLE allocators etc. ), GDI leaks, leaks of Windows USER objects and handles. 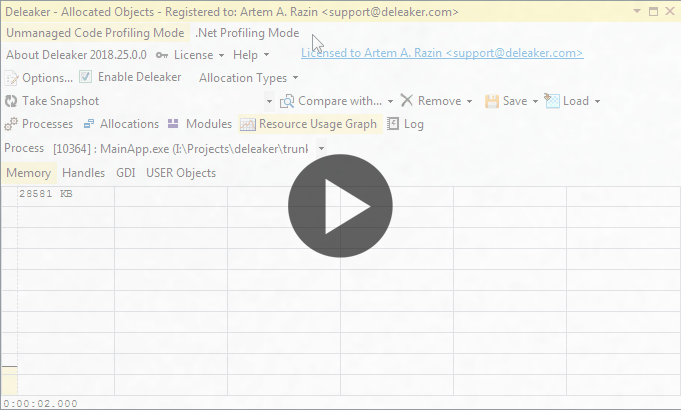 Being a Visual Studio extension, Deleaker tightly integrates with your favourite IDE. At any time you can see list of all allocated objects. 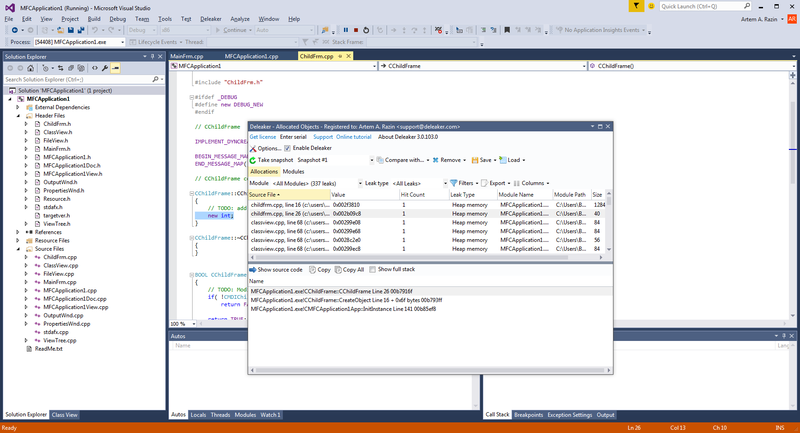 Visual C++ 6.0, Visual Studio 2005, 2008, 2010, 2012, 2013, 2015, 2017, and new 2019 are supported. 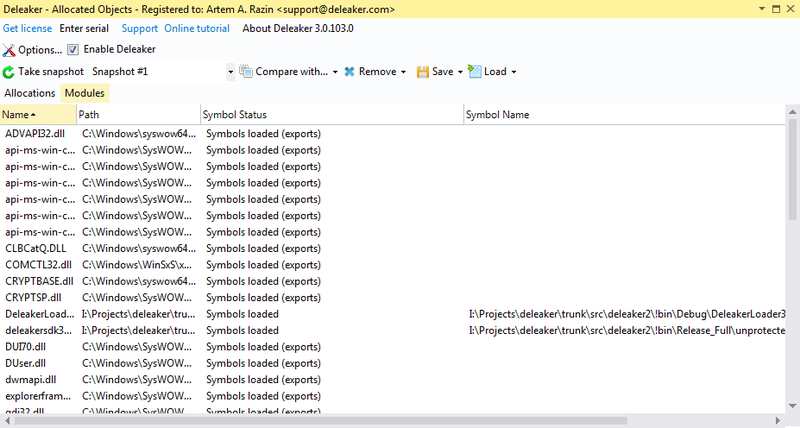 Visual Studio isn't required for Deleaker Standalone. The standalone version debugs any application and shows all current allocations. You can run it on a client machine that doesn't have Visual Studio.